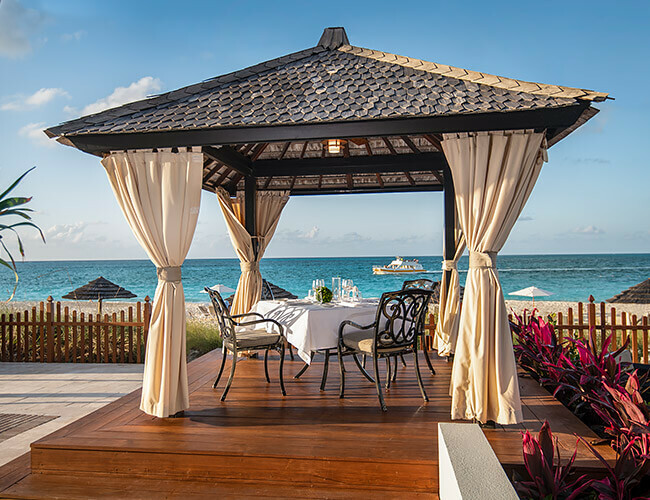 Turks & Caicos is fast becoming a culinary destination, and Seven Stars is right in the heart of it all. 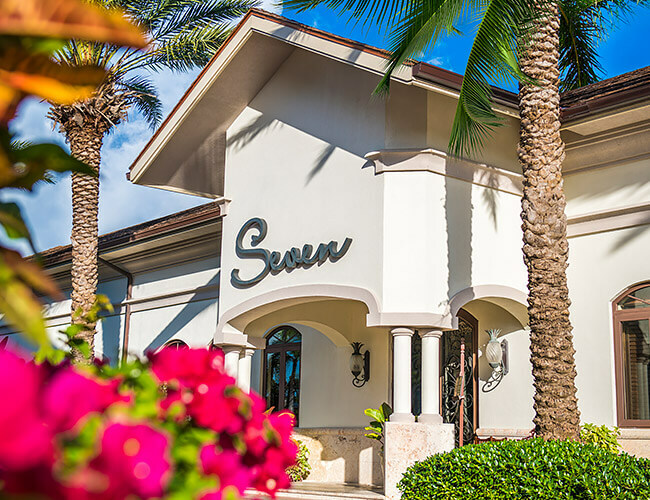 Our award-winning flagship restaurant, Seven, presents an exceptional gastronomic experience, featuring fresh seafood and steak prepared in both local and international styles in a romantic, candlelit setting. For lighter fare and cocktails, The Deck offers lunch, dinner, sundowners, mojitos, and brews overlooking sparkling Grace Bay. Enjoy an exceptional culinary experience blending island spices, fresh local seafood, and an array of international flavors in our award-winning gourmet restaurant. 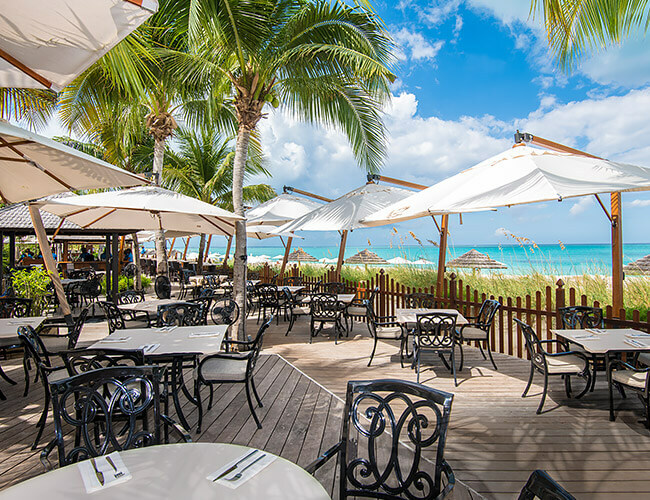 Savor casual, open-air dining with a priceless view of Grace Bay at The Deck, our guests' favorite place for sundowners, ceviche, and savory island-inspired fare. Enjoy an ultimate private dining experience—on the beach, by the beach, or in the privacy of your suite—complete with personal butler and your favorite playlist.